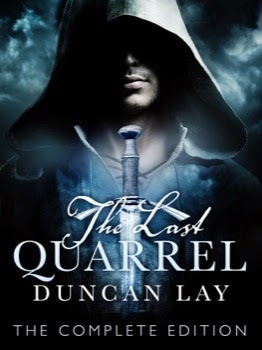 The Last Quarrel is an engaging fantasy tale with a nicely-paced plot and likeable, interesting characters. As I read, I was really expecting to give a four star review, but then I reached the end. This is being advertised as a complete edition; however, that is hugely misleading as it ends on a major cliff-hanger with no plot lines resolved. Clearly there is at least one more novella-length episode to come, so why release a 'complete edition' before that is ready? Because of that, I have had to amend my review to three stars. Good story, great characters, but the lack of completion of the tale may leave readers feeling frustrated.